(High Point N.C.) December 14, 2016 - Grammy®-Nominated and Dove Award-Winning Recording Artist and Worship Leader Kari Jobe announces dates for The Garden Tour, which features songs from her highly-anticipated upcoming album The Garden. The Garden Tour marks the first time Jobe has toured in nearly three years, and it kicks off in Tampa, Fla. on February 23, 2017 and visits 30 cities around the country through April 2017. Special guests for select dates include Bryan and Katie Torwalt, Leeland, and Jonathan David and Melissa Helser from Bethel Music. Pre-sale tickets for The Garden Tour go on sale December 15 at 10:00 a.m. local time with an on-sale date set for December 16. "I am so excited about this tour and sharing my new songs that were written out of the season God just walked me through," said Jobe. "I have put a lot of thoughts, prayers and dreams into each night that I hope creates a special memory that is hard to forget. I don't want to say too much because I don't want to ruin all of the surprises. My desire is for each night to be a personal experience for everyone that comes- but most importantly that it would be a sweet time of worship as we express our love and gratefulness in the powerful presence of God." 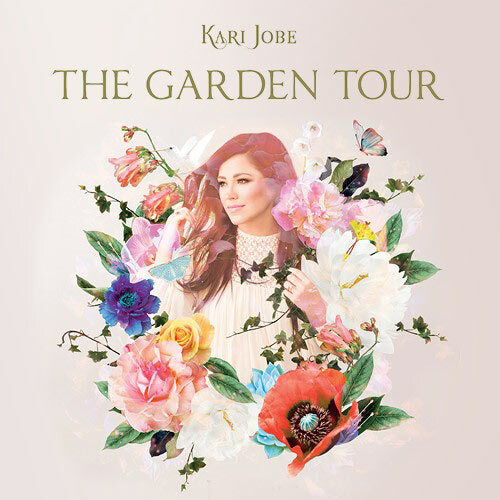 To purchase tickets to The Garden Tour, visit: www.karijobe.com. About Kari Jobe: For more than 15 years, well-respected worship leader Kari Jobe has been using her gifts to lead people into the presence of God. When she began leading worship at age 13, she never imagined she would be nominated for a GRAMMY®, win a Dove Award or be praised by the New York Times. She only knew she had a heart for broken people and a deep desire to lead them into the presence of a God who would take their ashes and turn them into beauty.